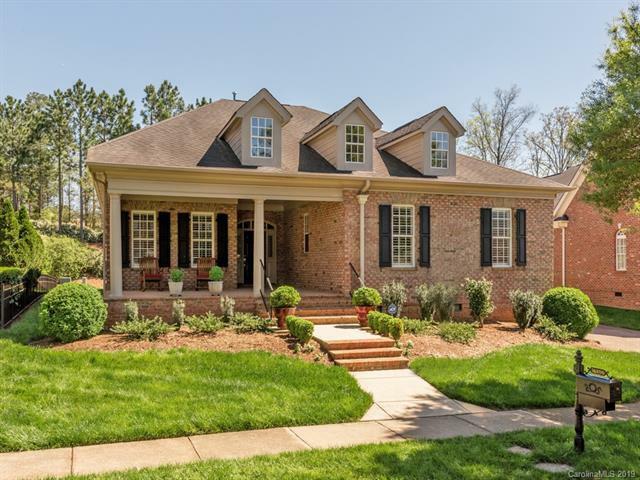 Beautiful home in Traditions at Ballantyne Country Club! 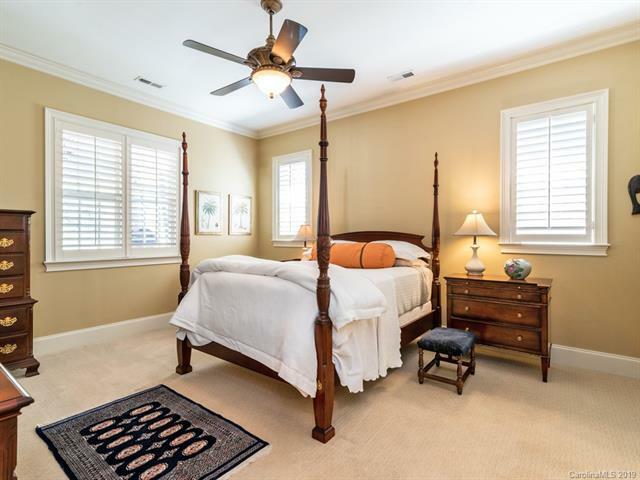 Single level living with master suite and two additional bedrooms. 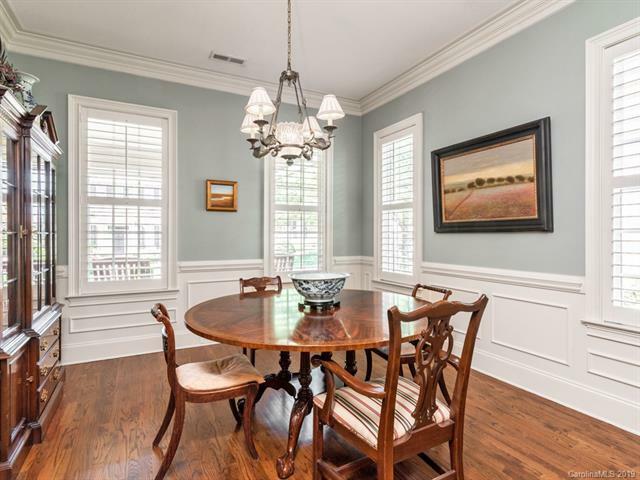 10 foot ceilings, 8 foot tall doors and elegant moldings on main level and plantation shutters throughout the home. Hardwood floors in living areas. Large covered front and back porches.Elegant foyer and spacious great room with tray ceilings. Formal dining room. 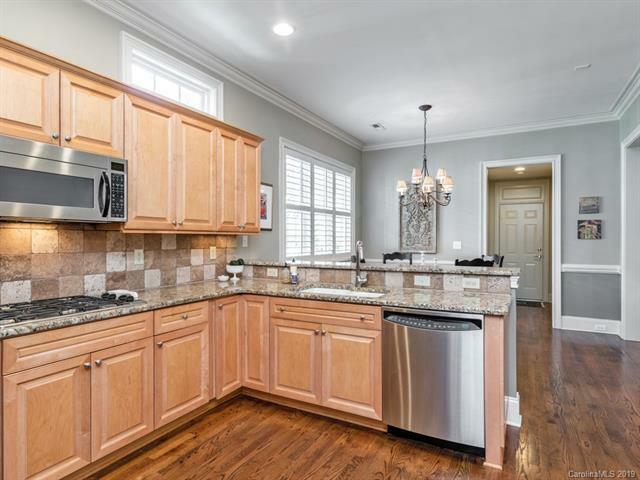 Kitchen with maple cabinets and granite counter tops, stainless steel kitchen appliances, gas stovetop, double oven, breakfast nook, walk-in pantry, and butlers pantry with granite counter top.Master suite includes master bathroom with jetted tub and new frameless shower enclosure. Second bathroom on main level includes frameless shower enclosure. Bonus room and third bathroom upstairs.Tree-lined street with garages behind homes. HOA maintains yards & irrigation outside of fenced back yard.Owner is a licensed real estate broker in North Carolina.